The aim of this site is to provide a quick, no frills response to your questions concerning entry to New Zealand. 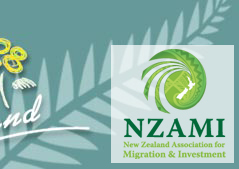 Migrate New Zealand specialises in assisting people secure residence in New Zealand under the various categories sanctioned by the New Zealand Government. Our special areas of expertise are in assisting individuals qualify under the Skilled Migrant and Work to Residence policies. We also handle applications for those wanting to apply as Business Investors or under the Long Term Business Visa category. Temporary entry for employment, study and to visit family is another area where we provide assistance to those who require it. We offer comprehensive payment plans and we can arrange terms to suit your budget if this is required. All immigration assessments are provided free of charge and without obligation on your part. To establish whether you qualify please complete the online questionnaire or send us your CV. A detailed assessment to establish whether you qualify will be sent to you by the end of our next business day. Please note that with effect from 1 June 2013 we will only be providing assessments for individuals based in New Zealand on temporary visas. We have been forced to take this measure due to a large increase in the number of enquiries received from offshore. We continue to offer assessments without charge or obligation.